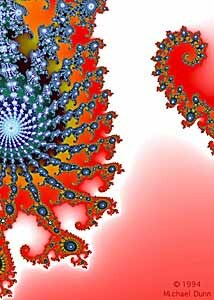 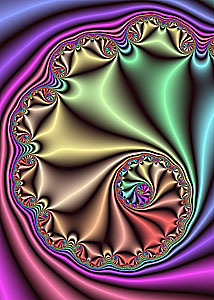 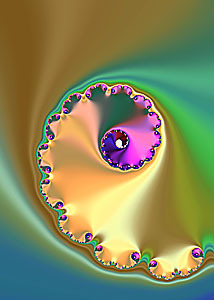 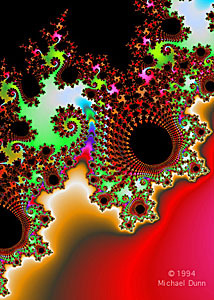 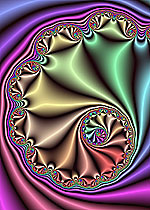 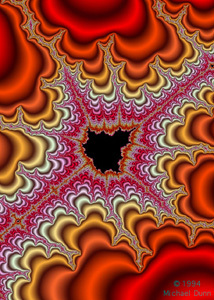 Fractals are a form of geometry, a mathematical representation of the chaos in nature. 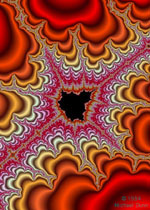 They are infinite in at least four dimensions, are based on indeterminates, and are amazing to look at. They have applications in weather forcasting, memory storage, and many other scientific fields. 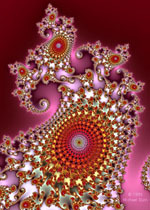 The images you see here are what I call "pure" fractals, i.e. 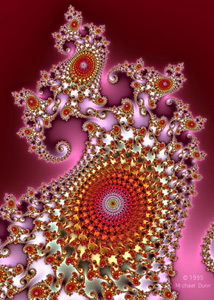 what you see is exactly what I see when I dive into the fractal universe. Some of the fractals have been altered in one way or another or are only part of a composition and so they are grouped on other pages. Enjoy.